From time to time The Lens of History receives common questions and requests. Here are some of those common questions with answers. If you do not find your question or the answer you were looking for, please go to the Contact page and submit your question or request and we will be happy to reply! May I reference information from The Lens of History website? Information from The Lens of History is copyrighted and may be referenced and/or linked in accordance with good manners, prior permission and in keeping with current copyright laws. Who do I contact to get permission to use information from The Lens of History website? If you wish to use, reference or obtain information from The Lens of History website, please contact us by completing and submitting the form on the Contact page. 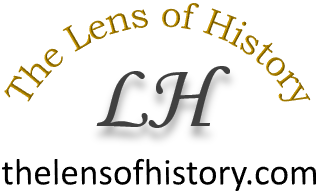 Do you accept offers to speak or lecture on content contained on The Lens of History website? Yes. If you are interest in having a topic discussed in front of your club, group, organization, or event, you may inquire by submitting a message via the Contact page. Please provide your phone number (optional on the form) and we will contact you to discuss. Who operates The Lens of History website? The Lens of History is the creation of John T. Pregler of Dubuque, Iowa. All articles, stories and posts are authored by Mr. Pregler unless otherwise noted. Please see the About page for more information on John T. Pregler or message him through the Contact page.